What is the importance of financial planner in your financial life? In this post, we will discuss on why do you require a Financial Planner to do your financial planning? Each and every area has an expert who understand and has skills for that profession whether it be Doctors, Engineers, Lawyers etc! Likewise, we have Financial Planners. Now, don’t confuse financial planners with Mutual Funds Agents or Insurance advisers! NO! Let us see some Important Points on why we need a Financial Planner. One of the major issues with our country is, here each area is seen separately and not as a whole. An Insurance Adviser will randomly suggest you a policy without understanding what is your Insurance Requirement. All that they will say is that your Insurance requirement is 8-10 times of your annual income, which is not the right way of calculating the actual Requirement. Mutual Funds advisers will just pick some Mutual fund for you without understanding your Risk-Appetite and your Future Goals. They don’t take care of your Tax planning, Estate Planning (wills and Legal Documents) or your Cash Flow etc etc. A Financial Planner on the contrary acts as a Doctor to your Personal Finance, who will very closely study each aspect of your Financial Life. He will understand your Risk Appetite, your current outstanding liabilities, your Future Goals, your Future Needs and Requirements, your Insurance Requirement, your Investment needs and finally come up with a Financial Plan and Recommendations which will take care of each aspects in total. Financial Planners will make you logical reasoning behind every suggestion he makes. He will make sure that you agree and understand everything, so that in future you can take similar decisions yourself. Has any Mutual funds adviser told you why SIP is better for you? Or Why You should expect great returns in long term from Equity? Has any Insurance Adviser told you what are the important things you should be aware of before buying a ULIP? Or why you you should avoid Endowment Polices for Long term wealth Creation? I doubt that if many of them are giving any genuine information. Financial Planner’s goal is not limited to Insurance planning or Investment Planning. 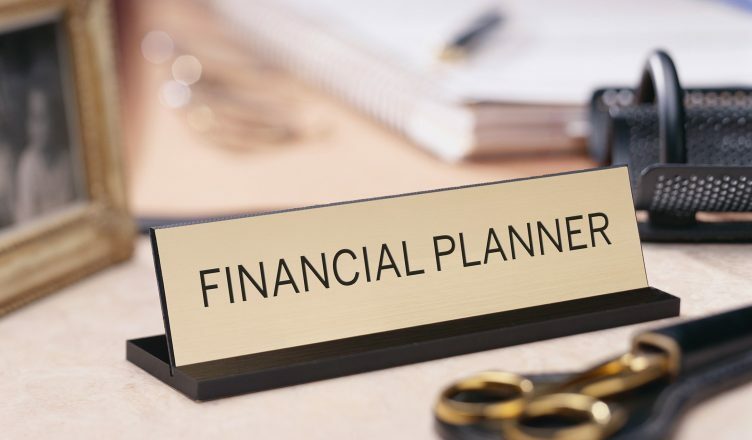 In fact a Financial Planner is trying to make your overall Financial Life better and paves a smooth financial path for you, which you can start walking on. Your overall Financial life is made up of different components Insurance Planning, Investment and Retirement planning, Estate Planning, Tax Planning etc etc. He will take care of all these aspects. How many agents or any kind of Adviser you have seen is competent enough to advise you? What is their relevant experience in that field? Most of them are just under their respective company’s Training. A Financial Planner should be a CFP or undergoing CFP qualification. CFP is the highest level of certification all over the world in the field of Financial Planning. You can also look for people who have deep understanding of Financial Planning and are undergoing the course. As CFP is new in India, there are many students who are under the learning process and are very good Financial Advisers (You can count me one if you like). Good Financial planners will have excellent network of Agents and Other professionals who can be helpful to you in the best possible way. Like for example, if he recommends you to go for a Term Insurance, he may also recommend you some company’s Term Plan and may recommend you to some good and trusted Agents. This will again be an important thing which you should consider. A Financial Planner may or may not have share in the Commissions. What is the general Process Financial Planners Follow? The first step they will follow is to get out each and every strand of information out of you that will help them to understand your situation correctly and in depth. They will try to capture each aspect of your Financial Life through a Questionnaire. It’s like a Doctor trying to get every information about you to give you a prescription. Then they will analyse each aspect and come out with the Plan and recommendations. They will not simply come to you and recommend you some mutual fund or insurance policy understanding if you need it or not. Infact they will do your Financial planning in the same way as you would have done yours if you were a Financial planner 🙂 . They can also assist you in future in monitoring your Financial plan depending on your agreement with the financial planner. Just like you have your dedicated Family Doctor, see him as your Family Financial Planner. I have enough knowledge about Products and Financial Planning, I constantly Read Financial Magazines and Blogs and keep updating my knowledge. Why should I hire a Financial Planner in that case? Financial planners are dedicated Professionals in the field. They have undergone tough training and may have much better detailed understanding of the nitty-grittes of Financial Planning which you may lack. You may have good knowledge and understanding and you may your self take care of your Financial life to great extent. It’s you who have to answer how your Financial Life must be, “Not Bad” or “Excellent” & “Perfect”! Also it may happen that its your un-true understanding that your understanding is very good. You may have good understanding in one field, but what about other fields? A financial planner may also have good competence in understanding of Financial markets, Derivatives Markets, Law governing tax etc and these keep on changing and one needs to be updated with the information. Everything comes with the cost. Definitely and if you need Quality then you need to pay quality cost for it as well. But don’t be horrified by the fees you pay to Financial planners, you have to understand the difference between Price and Value. Just seeing the numbers may make you feel over-charged, but when you concentrate on the value it adds to your life, you will be amazed. If you pay Rs X as fees to Financial Planners you will save many times of that because of the alterations and changes he has brought into your financial life. Its like if you fall sick then you pay for medicines. No questions asked!! Either pay and save yourself and be happy OR just live in hope of it getting cured by itself, but it will actually get worse and one day kill you. But my Financial life looks great to me, I don’t see any issues, my insurance cover is fine, my Investments are great…? Baby, you don’t know a lot of things in that case… Life is waiting for you. There are many people who think they are totally fine and at last they are diagnosed by Cancer and most of the times its at the last stage, don’t wait so long get it checked now!! My Family and Friends are forcing me to see a Financial Planner? what should I do? No! You should only see a Financial Planner when you yourself realize that you need one. This is an issue with our country, most of the people do not know and do not realize that their Finances Stink!! Only when it goes out of control they will realise that time has come and by then its too late. What is stopping you to at least get your financial checkup done by a Financial planner? He will make you realize first that you need it badly and once you agree you can hire him to fix it. Majority of Indians are totally clueless about Financial planning and only it has happened that in recent years some awareness has been created about it. Most of us try to fix finances on our own without accepting that we are not competent enough to do it all! WE need a professional. Don’t you pay to Doctor or Lawyer or any other Professional then why not hire a Financial Planner? Go for it!! Jago Investor!! I had been going through your articles and blogs and find them too useful for layman like me. I would like to connect with you and discuss my financial planning. Let me know how can we take it further. Can you tell me the fee structure to have a Financial Planner? is it case to case base or annual or monthly or commission based?. I have no clue. Please advise. Yes i do need answer for the above Q? Actually I am going to do that soon . Let me complete work with more number of clients .I have started recently and do not have huge client base . If you put a section like 'Testimonials' in where – your clients(or people using FP Service from outside) can comment and share their experiences of using the Financial Planning Service. I believe that would be really beneficial and helpful in encouraging other people and making the decisions- Why do you need a Financial Planner? Very nice .. I am sure other would get encouraged from you and do the same . I have been using a financial planner for four years now and it is really a big help to me. Yeah .. most of the people who cant take their decisions should see a financial planner . That is so true. Many people experienced the burden of paying off debt because of poor financial planning. To turn things around, They should be able to admit first that they need help in putting things into perspective and one way to do it is to seek help from an expert. There are many financial advisors who charge affordable fees and some even charge cheap. The most important thing is to avoid debt or get out from it and achieve an optimum financial health. You can contact me at manish.pucsd@gmail.com or call me at 9886409654 . You can also chat with me anytime directly with me on chat or through "CHAT" link on right top corner on blog . hi Manish. How can i get in touch with you? Even i would like to dscuss about my Financial PLanning. Yeah , in india still people would take time to recognize its importance , People in india are still reluctant to pay for this service . yes sir,this is true.But it may take some more years to understand the true value and necessity of F P A ,but till then the fakes damage the belief and confidence of many investors.